Good morning. It's Wednesday, Nov. 7. • Now begins the hard part for Gavin Newsom. • Throwing off the yoke of clock-changing tyranny. 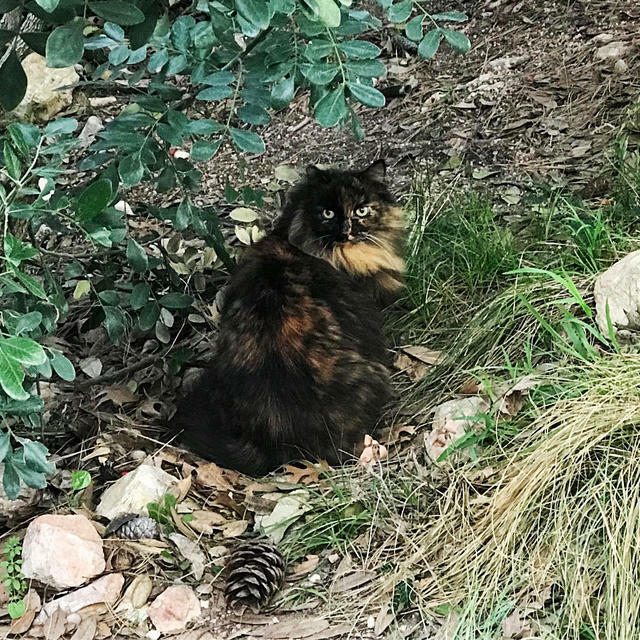 • And the hidden world of feral cats at Disneyland. Gavin Newsom on the eve of the election. The Democratic candidate cruised toward his coronation as the next governor of the world's fifth-largest economy on Tuesday. "The future belongs to California," he said in a victory speech that rebuked President Trump without mentioning him. "It’s time to roll the credits on the politics of chaos and the politics of cruelty." Reporters at CALmatters analyzed how the new governor would approach the state's most pressing issues. At the top of the list was the affordable housing crisis. 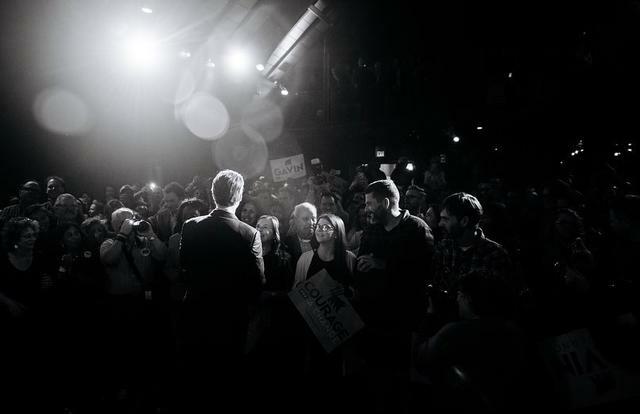 Newsom, 51, has pledged to build 3.5 million units of new housing by 2025, a goal critics have dismissed as preposterous. Rumors of a major housing package were already circulating around the Capitol. Read the analysis at CALmatters. Sen. Dianne Feinstein gestured toward supporters in San Francisco on Tuesday. 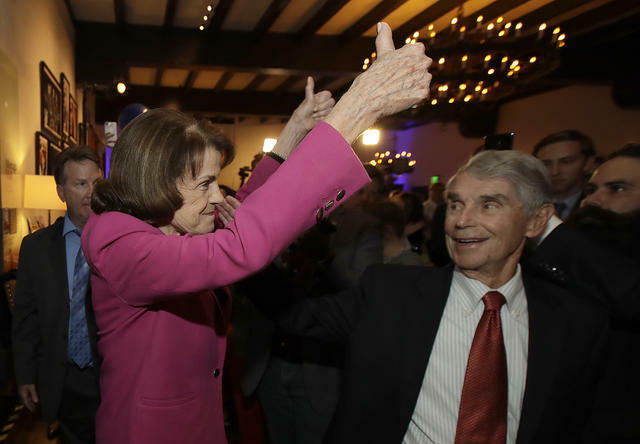 Sen. Dianne Feinstein clinched her bid for a fifth term representing California in the U.S. Senate, in a race that pitted experience versus ideological purity. She defeated Kevin de León, a state senator three decades her junior, despite the California Democratic Party’s backing of his candidacy. "This state — the fifth-largest economic power on Earth, over 40 million people, bigger than 21 states and the District of Columbia put together — needs strong representation." Feinstein said. House Minority Leader Nancy Pelosi greeted supporters at the Hyatt Regency Hotel in Washington on Tuesday. 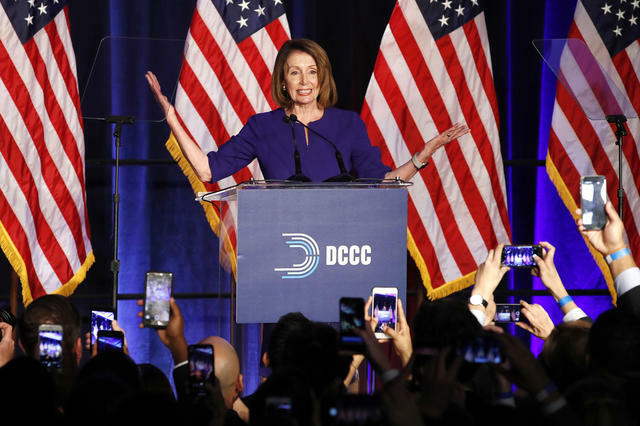 With the Democrats now in control of the House, Rep. Nancy Pelosi is poised to regain the speakership after eight years as minority leader — or face a reckoning over whether the 78-year-old is the right person to lead the Democrats in the Trump era. "Tomorrow will be a new day in America," she told cheering supporters in Washington. Follow live results for the California House races at Politico. 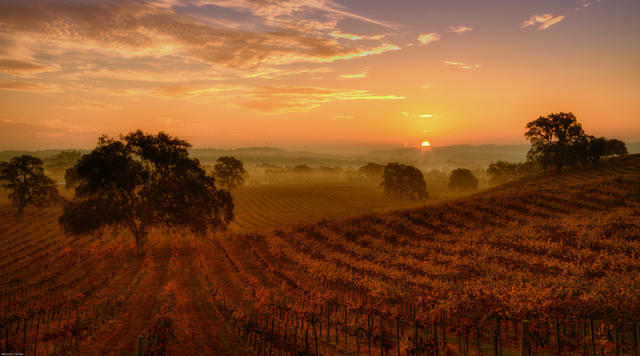 Sunrise in San Luis Obispo. Most Californians favor an end to twice yearly clock changes. • Proposition 12: New rules were approved barring farmers from keeping egg-laying hens, veal calves, and breeding pigs in pens so small they can't turn around. S.F. Chronicle | A.P. See live results for all 11 statewide propositions at the L.A. Times and S.F. Chronicle. California candidates and political action committees spent more than $1 billion on 2018 political races, according to data from the nonpartisan California Target Book. The spending — including roughly $366 million on statewide initiatives and $307 million on congressional races — works out to about $50 per registered voter. "We’ve never seen anything like the money spent on these congressional races," a political science professor said. 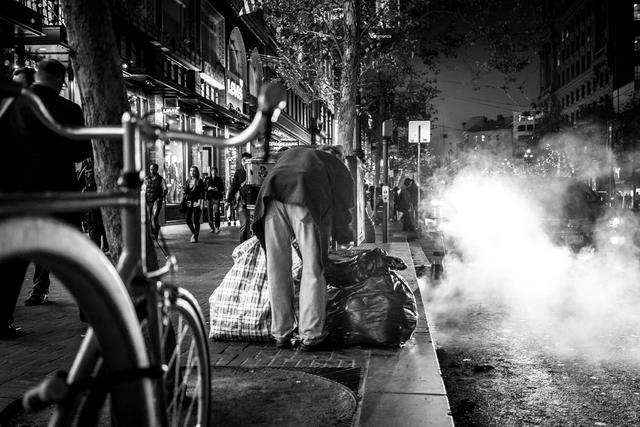 San Francisco has been bitterly divided over how to address its homeless crisis. San Francisco voters resoundingly backed the city's most contentious measure — Proposition C — which would tax big businesses to help the homeless. The vote fell short, however, of a two-thirds threshold, which seemed certain to invite legal challenges. Implementation could be delayed by months or even years. A Coachella Valley Republican group blocked Desert Sun reporters from their election night party. The group's president, Joy Miedecke, explained: "Look, we’re tired of the lies. The Desert Sun keeps printing false information." Asked to cite one, she said the lies had been happening for so long she couldn’t recall any. "Airbnb crime doesn’t pay." A well-heeled couple agreed to pay $2.25 million to settle claims that they turned 14 San Francisco apartments into illegal hotels through the vacation-rental service. The couple had been ordered to stop before, but apparently couldn't resist the lucrative listings. They earned $700,000 in profit in less than a year. Disneyland's feral cats have the run of the place. Roaming Disneyland's mouse kingdom is a hidden world of feral cats. With names like Snickers, Sammy, and Pepper, the cats live largely by their wits and have attracted fans who make an adventure of trying to spot them. They've got a website as well as Instagram, Twitter, and Facebook accounts. A fundraiser that was started to help a Los Angeles County music teacher who punched a high school student reached a staggering $135,000 on Tuesday. The student had thrown a basketball at the 64-year-old teacher and taunted him with a racial slur. One parent told CBS News that she would “have done the exact same thing." 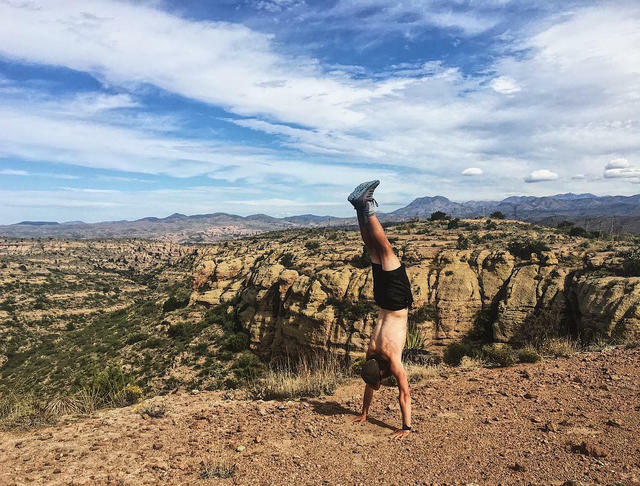 Jeff Garmire on the trail in Arizona last week. The Great Western Loop is a nearly 7,000-mile footpath that traverses some of the American West's most beautiful terrain — dipping into nine states, 12 national parks, and more than 75 wilderness areas. Only one person has ever completed the route. Now, a second hiker, 27-year-old Jeff Garmire, is roughly 700 miles from becoming No. 2. He's been posting updates on Instagram. 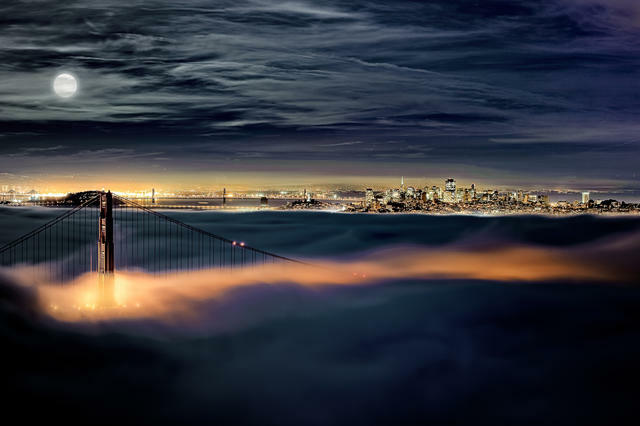 San Francisco was named after the Italian Catholic friar St. Francis of Assisi. A lot of people cringe at the nickname "Frisco." As the columnist Herb Caen once explained, "Frisco shows disrespect for a city that is now big and proper and respectable." But why the hate? A Stanford linguist suggested classism was at work: "It’s something like knowing exactly where to put your forks at the end of a meal." Long before Disney, there was the Santa Cruz Beach Boardwalk. Opened in 1907, the Santa Cruz Beach Boardwalk was the creation of a brash showman who dreamed of creating a "Coney Island of the West." It was a huge success, and still operates today as California's original amusement park. Two rides — a wooden roller coaster and a carousel — are national historic landmarks. USA Today readers named it the best beach boardwalk in America. 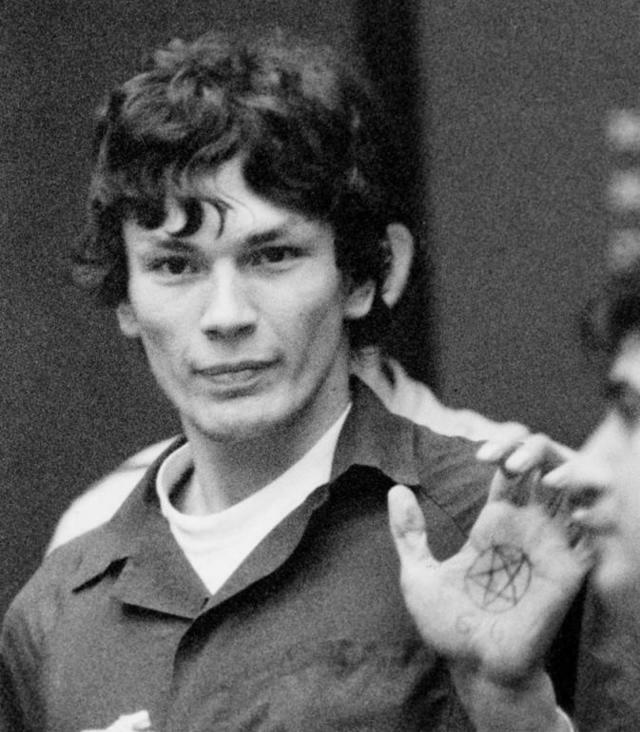 Richard Ramirez displayed a pentagram on his hand in court on Oct. 25, 1985. Richard Ramirez was a devil-worshipping drifter who killed at least 14 people in Southern California in the mid-1980s. Dubbed the "night stalker," he entered homes at night, seemingly at random, then killed the men and raped the women he found inside. It was on this day in 1989 that Ramirez was sentenced to be put to death. Cancer did the job instead, killing him in 2013.